ADANI has been recognized as the industry's true pioneer in the design, manufacture and marketing of proprietary state-of-the-art Digital Radiographic Scanning (DRS) technology for Security and medical applications. With professional design and manufacturing capabilities, ADANI can provide customized solutions for individual clients. ADANI has installed over 1,000 x-ray systems in the past 15 years and continues to develop its capability to develop and offer advanced and innovative customer focused solutions. ADANI has become a modern high-tech company specialized in research & development of state-of-the-art digital x-ray imaging scanning detectors for medical and inspection applications, as well as system design, manufacture, engineering and customer service. The strategic goal of ADANI is to provide the highest image quality - at the lowest system cost. ADANI product line is based on a patented process using a very high-quality digital scanning detectors. ADANI, as a security technology company, offers complex technical solutions that ensure security and have created an entire spectrum of specialized digital x-ray scanners for personnel security screening, inspection of baggage, parcel, cargo and trucks. ADANI's patented technology and unique product lines have been created for checkpoint inspection at airports, prisons, border crossings and government buildings or wherever high security is required. 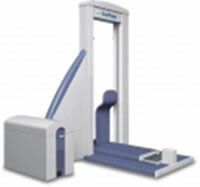 Most personnel security screening systems are designed for the detection of contraband and weapons concealed on a person. The ADANIÂ® CONPASS system offers more. Using our experience with medical imaging technology we have developed a system that is specifically designed to be used to detect objects hidden within an individual's body, clothing or in their carried bags. The ADANI patented technology and unique product lines for personnel inspection have been created for checkpoint inspection at airports, prisons, border crossings and government buildings or wherever high security is required. Screening x-ray systems are intended for whole- or partial-body transmission imaging inspection with low radiation dosage. One of the important advantages of the system is that it is possible to detect all types of dangerous substances including liquid explosives. The ADANI BV product line is specially designed to meet the main requirements of airports, customs facilities, carriers, parcel services. Dual-energy X-ray inspection systems (scanners) allow the identification of weapons, explosives (including plastic explosives), drugs, fuses and dangerous objects, which are a safety hazard or prohibited. 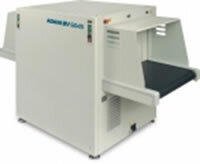 The Adani DTP Series offers a wide range of solutions to the problem of scanning cargo effectively. All of the versions offer effective Drive-Thru Portal technology. 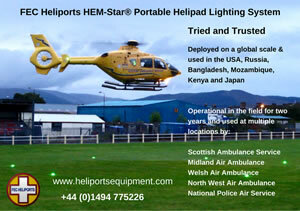 This improves the throughput of the solution and allows the choice of scanning the cabin or not. 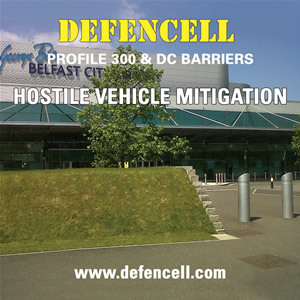 The range is from the DTP200M which is designed to be setup in 3 hours and can scan occupied cars and passenger vehicles through to the DTP 9000MG that can penetrate up to 300mm of steel and can be adapted to scan large trailers and rail cargo. Adani will work with the customer or system integrator to develop a solution that will best meet the cargo scanning needs and increase revenue generation, decrease loss through theft or identify attempts to import or export of prohibited items or illegal migrants. From stand-alone gantry to complete turn-key solutions, ADANI offers a variety of occupied passenger car inspection systems, based on DTP technology. Together with its high-resolution imaging and unbeatable throughput, the system provides for the highest level of radiation safety, fully compliant with the ANSI 43.17-2009 standard.